Mr. Chairman, Senator Baucus and members of the Committee, I appreciate the opportunity to appear before you today to discuss an aspect of the Internal Revenue Service’s (IRS) electronic filing (e-file) Program, specifically its use of electronic return providers or originators (Providers or EROs). I would like to report on my office’s efforts in assessing the IRS’ monitoring of EROs and in investigating individuals who corruptly interfere with this aspect of the tax administration system. In considering major changes to the IRS’ processes in 1998, the Congress determined that electronic filing should be the preferred and most convenient filing method. The IRS concurs that it is more convenient and economical and less time consuming to do business electronically rather than sending paper through the mail. The IRS has stated that while the government saves money, the real benefits of electronic filing are realized by the taxpayer. These benefits include reduced preparation time, faster refunds, greater accuracy of returns processing, and acknowledgement of return receipt. As part of the IRS Restructuring and Reform Act, the Congress set a goal of having 80% of all tax and information returns filed electronically by 2007. The Congress also directed the IRS and Treasury Department to eliminate barriers, provide incentives, and use competitive market forces to create a vigorous private sector competition to increase taxpayer use of electronic filing. In response, the IRS has aggressively marketed the e-file Program to return preparers, and continues to encourage widespread participation by the preparer community. For the 2002 Filing Season, more than 138,000 EROs participated in the IRS’ e-file Program, electronically transmitting more than 33 million returns accepted by the IRS. This number represents 71% of all accepted e-file returns. EROs are individuals or businesses that the IRS accepts to be authorized to file tax returns electronically. To be an authorized ERO, one must be a United States citizen or an alien lawfully admitted for permanent residence, and be 21 years of age as of the date of application. Unlike an Enrolled Agent, EROs are not required to have experience or skill in return preparation. - A check for prior non-compliance in the IRS e-file Program. The IRS’ ERO Monitoring Program is a key control over the e-file Program; its purpose is to verify participating EROs’ compliance with IRS e-file requirements. E-file Monitoring Coordinators are responsible for the oversight of EROs’ operations, including on-site visits. The visits may be of two types: random and mandatory. Random visits are used to determine general compliance within the IRS e-file Program. Mandatory visits, by contrast, are used to investigate allegations and complaints submitted against EROs. Violations of IRS ERO requirements may result in a verbal or written warning, written reprimand, suspension, or expulsion of the ERO from the IRS e-file Program, depending on the seriousness of the infraction. In a recent audit report, TIGTA found that the IRS has made strides with its ERO Monitoring Program efforts. Specifically, the IRS has developed and revised procedures and training materials, and established a goal to annually visit 1 percent of all EROs. The ERO Monitoring Program achieved this goal in both 2001 and 2002; however, resource constraints prevent the IRS from monitoring all EROs on whom it receives complaints. January 1, 1986 (the inception of the IRS’ e-file Program). - Screening checks (including tax compliance checks) were not performed for individuals who participate as e-file Providers in the IRS’ Volunteer Income Tax Assistance (VITA) Program. For the 2001 Filing Season, VITA volunteers e-filed more than 700,000 tax returns. - Criminal background checks were limited to 25% of those applicants who are required to submit a fingerprint card. - Applicants were approved to participate in the e-file Program prior to the IRS’ receipt and analysis of criminal background information obtained from the FBI. - Subsequent non-tax screening checks are not performed to ensure individuals already authorized to participate in the IRS’ e-file Program continue to maintain a high degree of integrity and adhere to the highest professional and ethical standards. IRS disagreed with TIGTA’s June 2002 audit results and indicated that the IRS’ existing screening process and participation rules strike a good balance between meeting taxpayers’ needs for increased electronic filing options and ensuring integrity of the e-file Program. However, TIGTA did not concur with this assertion and, in a January 2003 audit report, TIGTA reiterated concerns with the IRS’ e-file Program and recommended that the IRS establish meaningful performance measures to assess not only relevant outputs (i.e., number of monitoring visits completed) but also program outcomes (i.e., the impact of the ERO Monitoring Program on compliance). TIGTA has also conducted investigations into alleged abuses in the ERO Program. In Fiscal Year 2002, TIGTA’s Office of Investigations conducted 77 investigations involving EROs and paid preparers, 26 of which were EROs. TIGTA investigations have involved allegations that preparers stole taxpayer refunds and remittances, and that preparers submitted false declarations concerning their professional or eligibility status to the IRS. 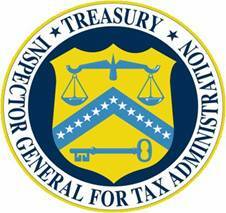 In one recent example, TIGTA participated in the joint investigation of an authorized ERO who had filed approximately 9,000 fraudulent tax returns over a three-year period, resulting in an estimated loss of over $7 million in fraudulent tax refunds for one year alone; the total extent of the fraud is still under investigation. This investigation disclosed that a number of risks and program weaknesses previously reported in TIGTA audit reports to the IRS allowed this individual to illegally file fraudulent returns. For example, the ERO was in the United States illegally while perpetrating the fraud and there is no documentation that the ERO was ever the subject of an ERO Monitoring Program inquiry, even though this individual had 41% of the tax returns submitted to the IRS returned due to an error on the tax return. As an indicator of potential problems with EROs, TIGTA found there is no national process to leverage information that the IRS captures on how many tax returns are sent back to an ERO due to errors identified by the IRS. TIGTA became aware of the fraudulent filing of tax returns after the ERO was caught cashing stolen refund checks. The ERO pled guilty in October 2002 and is currently awaiting sentencing. The reorganized IRS is focused on both helping people comply with the tax laws and ensuring the fairness of enforcement efforts. As budgetary pressures increase, it will become all the more essential that taxpayers remain persuaded of the benefits of electronic filing so that the costs of processing tax returns are contained, and limited enforcement resources can be directed where they are most needed. Providing strong, risk-based oversight of the ERO community and the e-file Program in general will help provide the public with this assurance. Applicants that are required to submit fingerprint cards are those businesses (sole proprietors, partnerships, or appropriate corporation or organization officials) who want to become an Authorized ERO and are not attorneys, CPAs, Enrolled Agents, banking officials who are bonded and have been fingerprinted in the last 2 years, or officers of a publicly owned corporation.